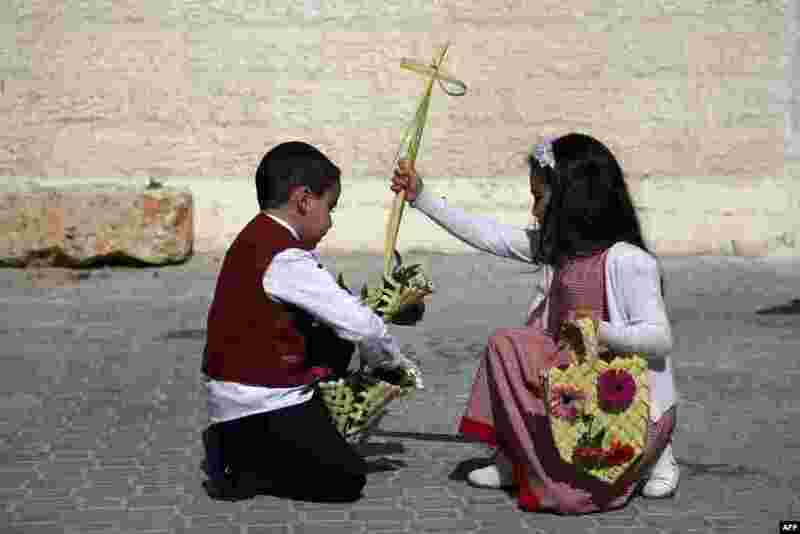 1 A Palestinian boy and a girl a cross as they attend Easter prayers at the Church of Saint Porphyrius in Gaza City. 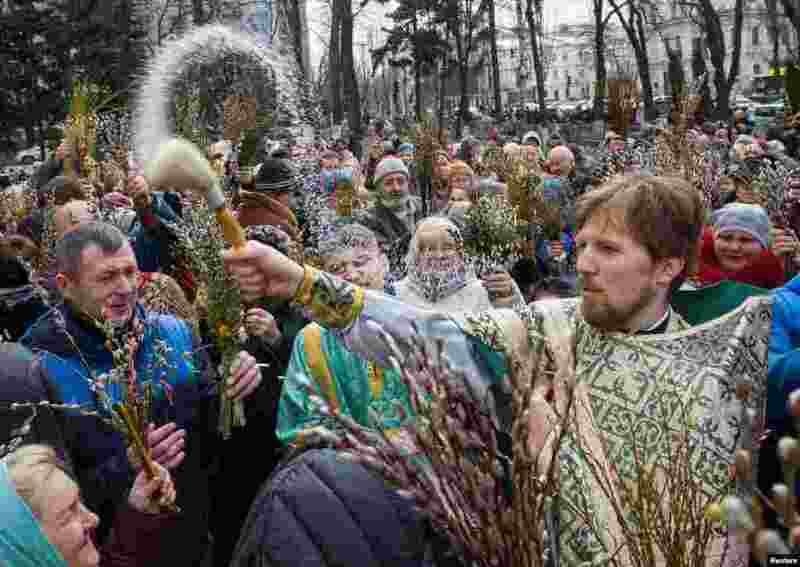 2 An Orthodox priest sprays holy water as believers mark Palm Sunday in Kyiv, Ukraine. 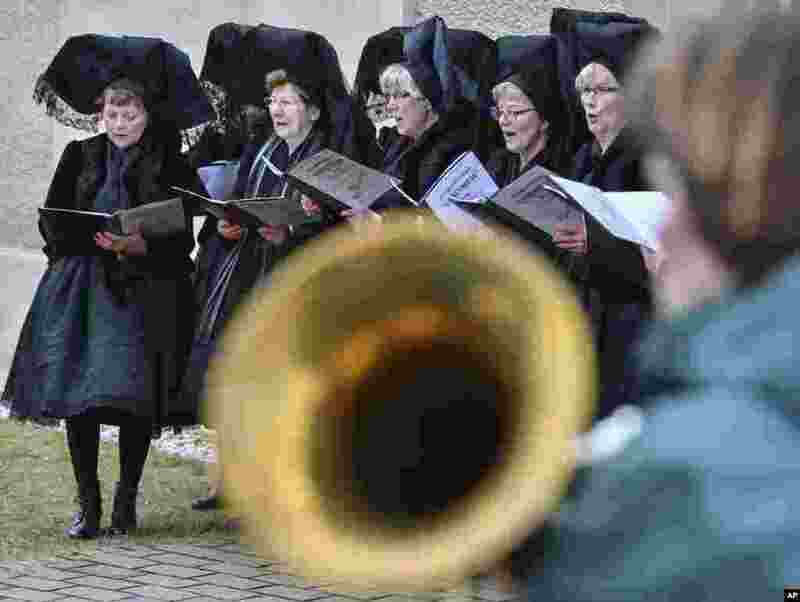 3 Women in traditional costumes sing in front of the church in Burg, eastern Germany, Easter Sunday. 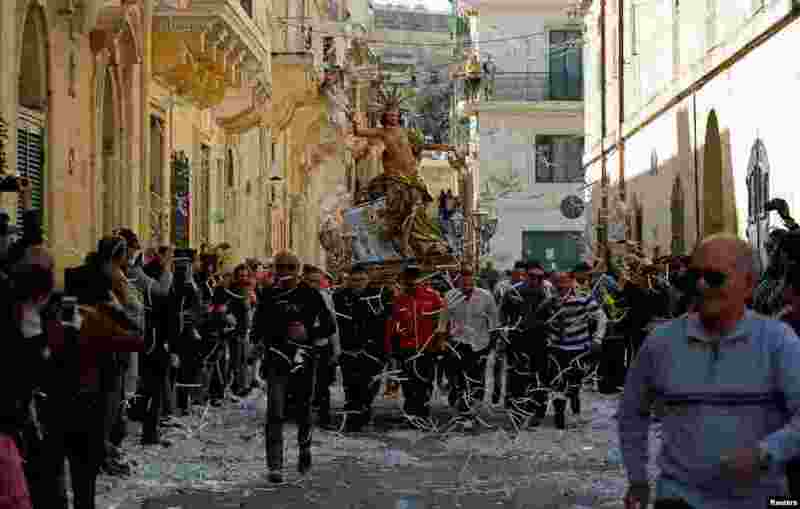 4 Worshipers carrying a statue of the Risen Christ run during an Easter Sunday procession in Cospicua, Malta.